The days of skateboard graphics providing poignant social commentary are pretty much gone. 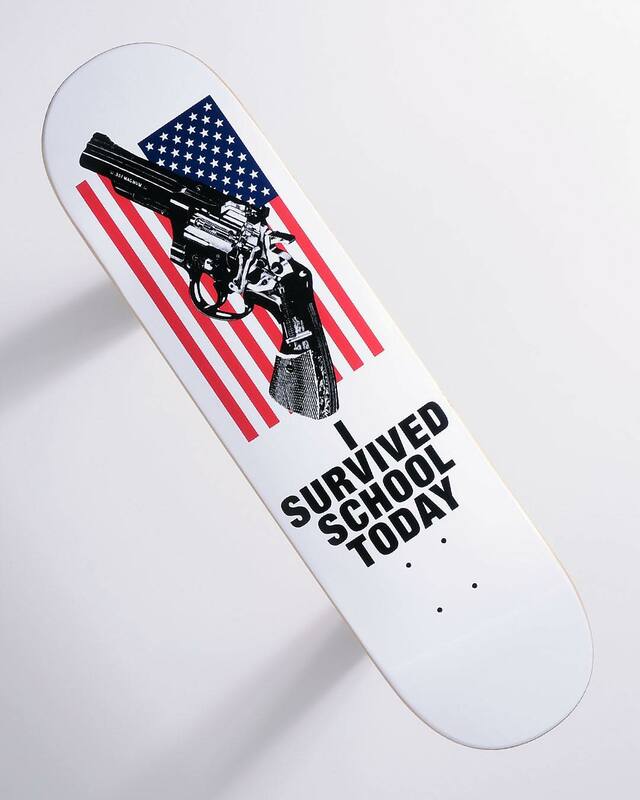 Quasi harkens back to a different era with its new I Survived School Today deck. A portion of the proceeds will be donated to help end gun violence in schools, which makes this a worthwhile purchase on several levels. The deck drops today at 2:00pm EST via the Quasi online store.